High Beskyd [Високий Бескид; Vysokyi Beskyd]. (Map: Carpathian Mountains, Division.) Name of that part of the Beskyds—the outer flysch belt of the Ukrainian Carpathian Mountains—lying between the imaginary line joining Turka and Boryslav in the west and the Mizunka River valley in the east, and between the limits of the Carpathians in the north and the Middle-Carpathian Depression in the south. The High Beskyd has an area of about 2,000 sq km and begins rising from an elevation of 300–400 m. It is lowest in its northern part—the highest peak there is Mount Tsukhovyi Dil (942 m)—where a banded structure has been created by longitudinal sandstone ridges and parallel valleys, wide depressions, and small hollows (Verkhnie Syniovydne and Mizunka) carved out of soft schists and clays. 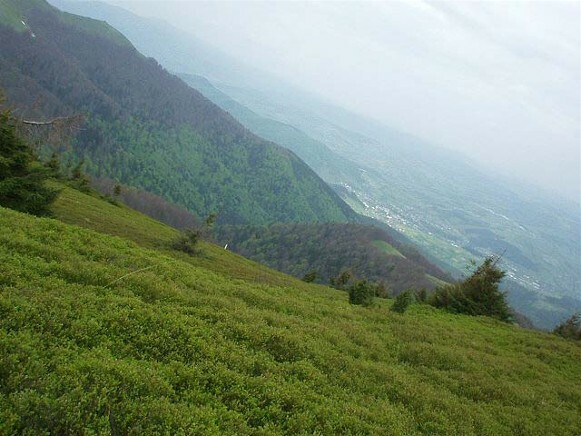 The rounded and uniform mountains there are quite densely populated (60 inhabitants per sq km) and deforested (24 percent of the land area is cultivated, 38 percent is pasture and hayfields, and only 35 percent is forest). 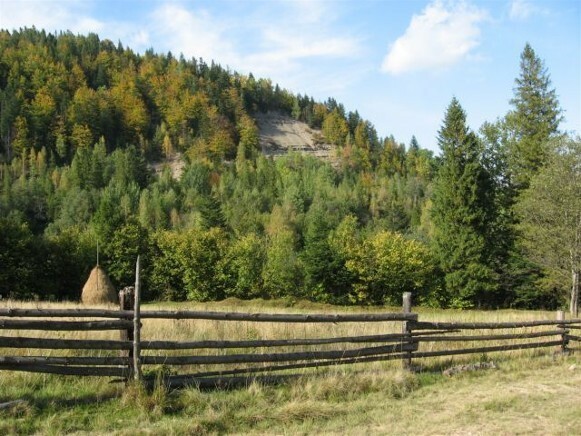 South of the longitudinal Stryi River valley the High Beskyd attains elevations of 1,100 m and up. 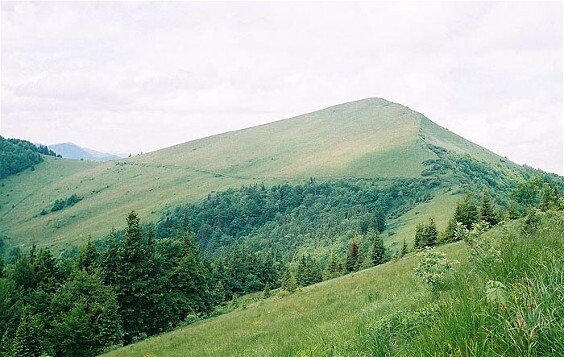 There the highest peaks are Mount Parashka (1,271 m), Mount Zelemianka (1,267 m), and Magura Ridge (1,368 m) (see Magura mountains). Narrow and deep transverse valleys (such as the Opir, Sukil, and Mizunka river valleys), which intersect the longitudinal valleys, predominate. The mountain tops have a sharper definition and are often denuded. 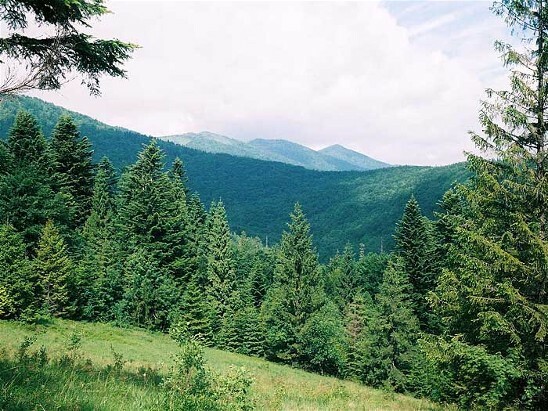 Forests consisting mostly of spruce still cover 70 percent of the area, and the population density is lower (30 inhabitants per sq km). The High Beskyd has long been inhabited by the ethnographic group of the Boikos. (Until 1941 Poles and Jews each constituted 10 percent of the population.) The main occupations are crop cultivation (rye, potatoes, and oats) and animal husbandry, logging and woodworking industry, and, in the Boryslav region, petroleum extraction (see Petroleum industry). 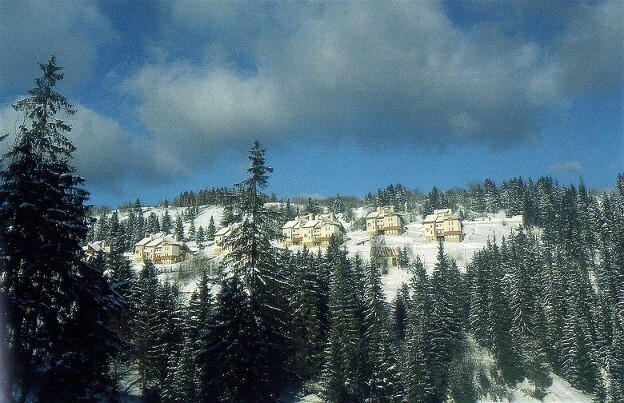 Cities (Boryslav, Bolekhiv) lie on the mountains’ periphery. 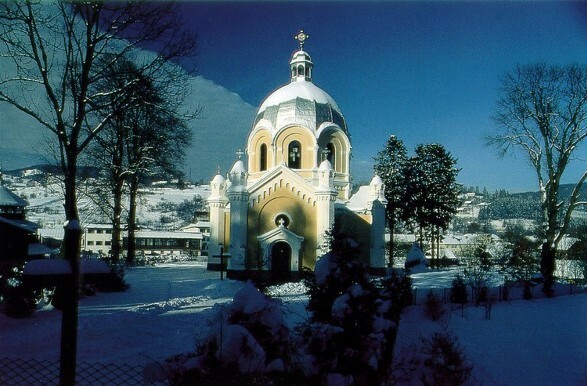 In the interior the main centers are Skole (woodworking), Skhidnytsia (petroleum), Verkhnie Syniovydne (woodworking), and the resorts of the Opir Valley—Hrebeniv, Tukhlia, Slavske, and Zelemianka.